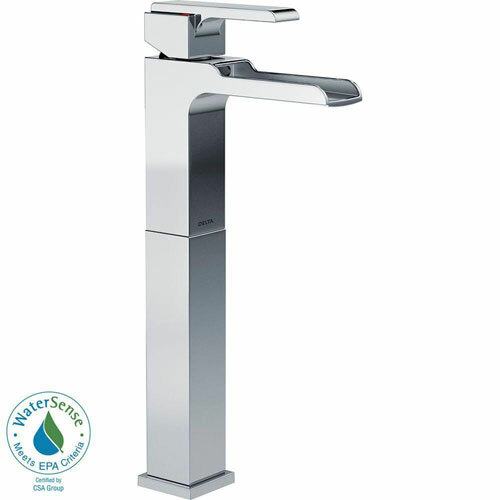 The modern, angular Ara Single-Handle Single Hole High-Arc Bathroom Faucet with Riser and Channel Spout in Chrome brings a contemporary edge to any home. It's a full bath suite with matching accessories, making it easy to perfectly coordinate your space. Getting ready in the morning is far from routine when you are surrounded by a bath that reflects your personal style.